If you’ve ever wanted to go touring France, now’s the time. The winter here still has some bite and summer is still so far away, so why not escape the chill and arrange Motorhome Hire from our depots in Lancashire, Stoke or Cheshire to take you all the way to Normandy and beyond? 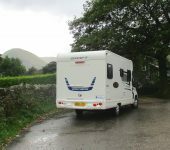 Until the end of March, when circumstances might change, arranging motorhome hire for travel across the channel to the continent is as easy as hiring a motorhome to take you across the Pennines to Yorkshire, so why not take advantage of the ease of booking and enjoy touring France while the weather is cold back home? 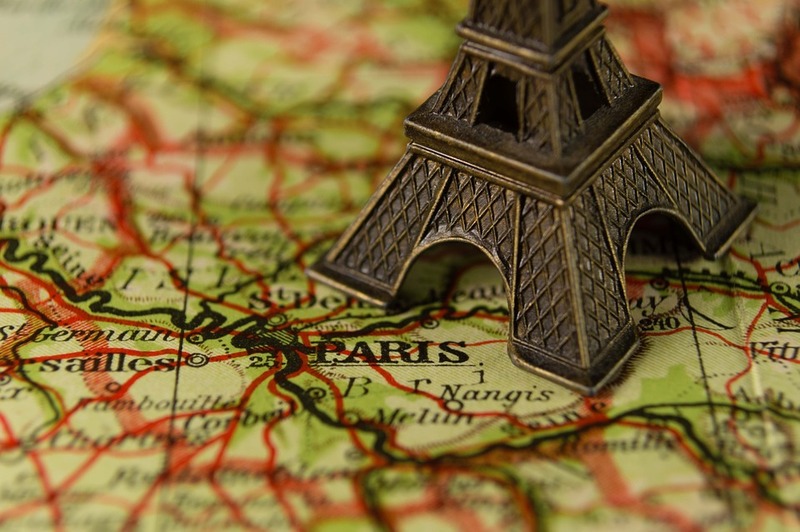 While there’s so much to see while touring France, there are a few tips and a few things you’d benefit from knowing in advance to make your motorhome adventure go smoothly. 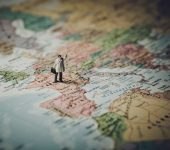 If you’ve never spent time touring France in a motorhome or anywhere else in Europe for that matter, you might not know that you have an overnight option besides the usual campsites like those you can find back home. With campsites, for a modest (or sometimes not so modest) fee you can arrange to stay overnight and enjoy all the facilities available onsite. Aires however (or Aires Du Camping) are something we don’t have in the UK. Aires are stopovers which are found nearly everywhere round Europe, they’re free to use (paid for by local authorities) and are designated for use by motorhomes. Aires may have very basic facilities, like water or liquid disposal, but others are better equipped. 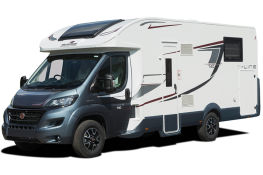 With Aires however, you’re generally not permitted to set out anything outside your motorhome, like putting out chairs, tables or barbecues, meaning that only self contained vehicles like motorhomes can take advantage of them. Whether touring France in a motorhome or in a regular car, you’ll need to be aware of the rules for driving across the channel. Most obviously, this involves driving on the ‘wrong’ side of the road, which makes changing lanes in a right hand drive vehicle something which must be done with great care. While most rules you’d be familiar with back home are just as true when touring France, there are some subtle and not so subtle differences to bear in mind. Flashing headlights can have a different meaning in France. While over here, we might flash lights to ‘give permission’, in France it’s more often used to warn other drivers that the flashing vehicle is coming through, or that there’s a Police speed trap ahead. 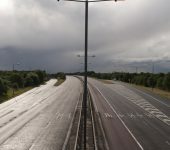 If you’re driving on the French motorways, you’ll regularly encounter a ‘Peage’ – if you’ve ever used the M6 Toll, they’re just like that, but they’re everywhere. They’re not particularly expensive, but driving a RHD vehicle can be a nuisance when the toll is designed to be accessible for those in left hand drive vehicles. If you have a passenger, make sure they’re sat up front with you to pay the toll and save you from getting out or having to shuffle across the cab. In France there are certain items you must have in a vehicle and others it’s advisable to carry. High Visibility jackets, two breathalysers (up to French standards) and a warning triangle. If Beam deflectors must be fitted where necessary and a GB sticker displayed. Also make sure to you have your license, passport and documents related to the motorhome to hand. Also, if you have to pullover to the side of the road, it’s a requirement to wear the hi-vis vest. Make sure you obey the speed limits where displayed and bear in mind that build up areas are limited to 50km per hour. Be aware alaso that the speed limits are lower on faster routes when it’s raining, so slow down if it’s wet. While you can make hands free calls in the UK using a headset, this isn’t permitted in France and the blood alcohol limit is lower than the UK overall and newer drivers are allowed less still, so best to be safe rather than sorry and if you’ve had a drink the previous evening, make use of one of the breathalysers before setting off (remembering to replace it afterwards). Lane discipline is much more widely observed in France. While over here, it’s fairly common to see people sitting in one lane and staying there, in France people tend to move to another lane to overtake and then move right back again. When in Rome…..
Yellow lines, even single ones mean don’t park there. Broken lines are for unloading and loading only. 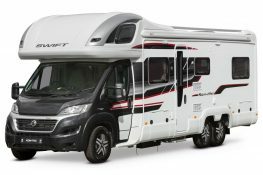 With the weather in the UK a little on the chilly side and there being the chance that driving in Europe could get a little less straightforward after March, there’s never been a better time to spend a little time touring France in a luxury motorhome from Priory Rentals and enjoying the warmer climate as you head south for the winter. Contact us to arrange motorhome hire and prepare yourself for a wonderful Gallic experience across the channel.